Our comprehensive Massage Therapy Training Program is offered at a variety of times to fit your schedule. Come experience what it is like to use the healing power of touch to better your life as well as those of your clients. *Course Schedules vary by campus. As an NHI student you’ll gain real-world experience treating the public in our on-campus massage training clinics. You’ll also be personally mentored by a dedicated team of experienced massage professionals. Having direct client experience and personalized support in our program will fully prepare you to make a smooth transition from student to massage professional. Want to know upcoming Massage Therapy Training Program Schedules? Course schedules vary by campus. Contact us to find a schedule that works best for you. National Holistic Institute offers continuing education classes at our campuses throughout California. The Advanced Neuromuscular Therapy Program is offered in five 90- hour modules, which can be taken separately or consecutively. Boost your depth of knowledge of neuromuscular therapy and more. You will notice the difference in your practice as a result of your increased expertise and confidence. Want to know upcoming Advanced Neuromuscular Therapy Program Schedules? Continuing education massage therapy course schedules vary by campus. Contact us to find a schedule that works best for you. 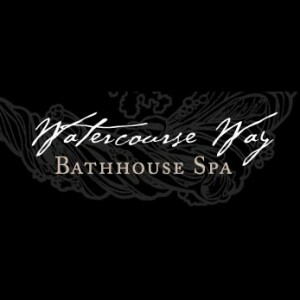 Watercourse Way hires graduates from NHI due to its impeccable reputation in the field. NHI has risen to become one of the most reputable schools and training grounds for massage. The variety NHI put into their education and selection of classes offered work to produce some of the most well rounded students of massage, and we can hardly afford to overlook them. I think the hours of coursework speak further to this example of the well rounded therapist. We look for those who have the most experience, knowledge, and skill to represent our spa and business. And NHI has repeatedly, and successfully, provided us with this combination.